So you want to try fake nails and wondering how long do fake nails last. Fake nails (depending if they are acrylics or tips) can last way longer than you’d think if you take proper care of them. And why shouldn’t you? If you are already investing $40+ bucks, then make them count. How Long Do Fake Nails Last Generally? Well, are you ready to invest some time and effort into this process? If so, your nails will last you more than 3 weeks. After that point, refiling is required. The main key is getting them refiled and fixed every 3 weeks or so. By doing this, your nails will extend their lifespan up to 2 months! How amazing is that? Costs less than $3 per manicure! This is my method for fake nails I have been doing for over a year – it’s been tried and tested and they last me for 3-4 weeks. Click below for full details!!! Acrylic Nails: How Long Do They Last? The filing is a must since your natural nails will grow underneath your fake nails. Those ugly gaps will appear and you will want to cover them. Luckily for you, these fixes are cheaper than just getting the whole set of fake nails. Also, filing really depends on the type of your natural nails. If they are slow growing you won’t be noticing that gap for a little longer. However, if they grow a few mm a week, then you will require an intervention at the salon. 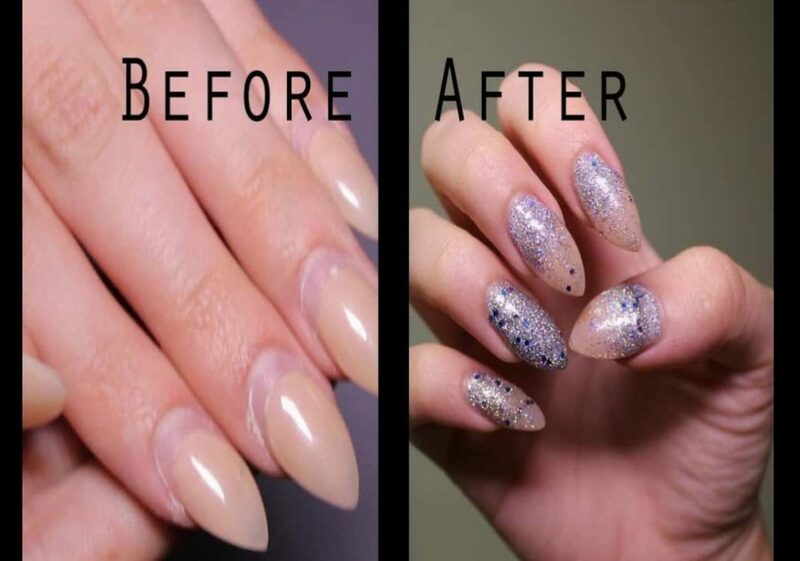 Usually, you should refill your nails every 2-3 weeks. That way, your fake nails will last longer. They are super pretty and they give you that ”glow” that all of your friends will adore. Do you love getting compliments? Be prepared for a whole set of them, since your nails will look on point. You will definitely feel a lot more feminine about your appearance and will get a bunch of jealous looks. thank you so much for watching! i upload TWICE a week, tuesdays and fridays. Make sure you subscribe to keep up to date with my uploads ♡ ——————————————————– Hello and welcome back to another video! Do you like all of the above? Good, then rush to the salon and get yourself a new set of nails. Doesn’t matter if they are tips, or acrylics, just make sure you feel comfortable wearing them and showing them off!